Percutaneous nephrostomy is achieved in nearly all patients without major complications. 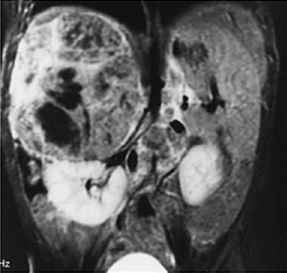 Hematuria is common for a few days, but massive retroperitoneal hemorrhage is rare. Small subcapsular renal hematomas resolve spontaneously, while arteriovenous-caliceal fistulas are best managed by angiographic embolization. If a nephrostomy catheter is seen to transverse the renal pelvis the possibility of injury to a large renal artery must be considered. The misplaced nephrostomy catheter should be withdrawn over a guidewire and renal artery embolization may enable rapid arrest of a life-threatening hemorrhage (Cowan et al. 1998). In more complex cases, CT maybe used to detect possible catheter malposition and successfully guide catheter repositioning in the renal collecting system (Jones and McGahon 1999). During percutaneous and renal procedures, sepsis and pelvic injuries are also reported as common complications. Sepsis can be avoided if antibiotics are administered prior to the procedure, the collecting system is not overly distended, the minimum volume of contrast medium is injected, and the attempt is not delayed. Hemorrhage can be prevented with appropriate coagulation studies, careful puncture onto target calyx and avoidance of medial punctures. A pelvic injury is less likely to occur if the dilator is not advanced further than the calyx, the peel-away sheaths are handled with care, especially when advanced around the pelvi-ure-teric junction, and kinking of the guidewires is avoided (Lewis and Patel 2004). Percutaneous renal biopsy is a relatively safe procedure. Hemorrhage, arteriovenous fistula, and renal capsular artery pseudoaneurysm may occur. Arteriovenous fistula may present with severe hypertension and is managed by embolization (Ozdemir et al. 1998). A pseudoaneurysm should be suspected if the patient presents with flank pain and decreasing hematocrit without he-maturia. Arteriography and transarterial embolization is the appropriate therapy (Silberzweig et al. 1998). Percutaneous nephrolithotomy (PCNL) is a popular procedure, wherein stones in the renal pelvis are removed via a nephroscope with forceps or by ultrasonic or electrohydraulic disruption. The complications include hemorrhage, extravasation and absorption of large volumes ofirrigation fluid, fever, infection, colon-ic perforation, arteriovenous fistulae, and pneumothorax (Fig. 15.4.2) (Vignali et al. 2004). Extravasation of fluid is often caused by a tear in the pelvicaliceal system. A close watch on irrigant fluid input and output is required for an early recognition of the complication. If the renal pelvis is torn or ruptured termination of the procedure is a safe choice. Apart from intraoperative evaluation of serum electrolytes, acid-base status and oxygenation, monitoring of airway pressure is a good indicator of this complication. Metabolic acidosis, hyponatremia, hypokalemia, peritonitis, and ileus are caused by absorption of large volumes of irrigation fluids. Management of this complication requires close monitoring, placement of an abdominal or retroperitoneal drain, correction of acido-sis, and supportive measures (Ghai et al. 2003). The majority of these cases can be successfully managed conservatively. The consistent application of proper technique, avoidance of puncturing the kidney lateral to the posterior axillary line, and puncture of the upper pole calyx when feasible will help prevent these injuries. Vascular injuries with renal bleeding are quite frequent and can occur at any step of the percutaneous procedure, requiring transfusion in 1 % -11 % of cases. The high number of punctures and the incorrect choice of the puncture site (access too medial or direct puncture of renal pelvis) have been incriminated in the genesis of vascular lesions after percutaneous maneuvers. Renal bleeding can arise both from venous and arterial lesions. Bleeding from venous vessels could be profuse at the end of the procedure but is generally controlled by simple maneuvers, such as placing the patient supine to reduce abdominal compression, positioning a nephro-stomy catheter, forcing diuresis through hydration and parenteral administration of mannitol after clamping the nephrostomy catheter. In case of major venous trauma with massive hemorrhage, patients with concomitant renal insufficiency can be treated without open exploration or angiographic embolization using a Council balloon catheter (Gupta et al. 1997). Arterial lesions may induce acute or late postoperative bleeding. Severe acute bleeding usually arises from the injury of the anterior or posterior segmental arteries, whereas postoperative delayed complications are usually caused by interlobar and lower pole artery lesions mainly represented by arteriovenous fistulas or post-traumatic aneurysm development. Duplex US and CT angiography can diagnose vascular injuries. 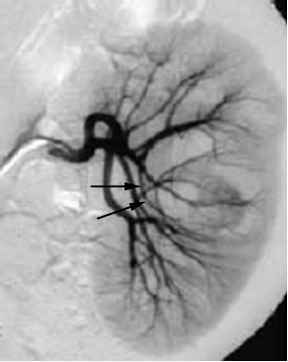 Hyper-selective renal embolization is considered the most appropriate technique in the treatment of iatrogenic vascular lesions. Identification of the precise site of the lesion in order to be as selective as possible and reduce the risk of renal dysfunction is essential. Hyperselec-tive catheterization of the renal artery branches is achieved by means of both hydrophilic 5-F catheters or coaxial systems with low-profile microcatheters (2.6 F). The use of an embolic agent helps in performing a distal and irreversible occlusion with complete hemosta-sis. A variety of embolic materials have been used: mi-crocoils, homologous clots, detachable balloons, poly-vinyl alcohol particles, Gelfoam, silicone rubber, cotton pellets, and silk filaments. The choice of the embolic agent depends mainly on the blood flow entity at the level of the lesion, the vessel size, and the operator's preference. Complications of endopyelotomy can be classified as major (vascular injury), and minor (infection, urinoma) (Bellman 1996). 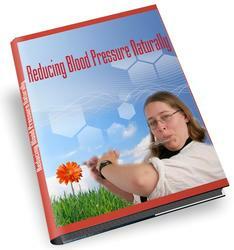 Preventive steps along with proper patient selection minimize the risk for complications.